Descripción de ep 113: "wait... what?!?" and.... they're back! 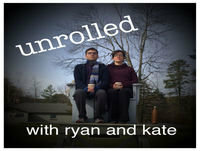 Kate and Ryan sit down together on Thursday November 8th to discuss their election hangovers and associated memes. They also discuss the interesting trend towards "do whatever feels good" in yoga classes. Thank you as always for your patience and support as Ryan and Kate negotiate their schedules!!! Ep. 486 - Wait, Trump Just Said WHAT?